Lumina's flagship software product, Analytica®, is a quantitative decision-support environment that helps people visualize problems with a clarity and power far beyond what is possible in a spreadsheet. 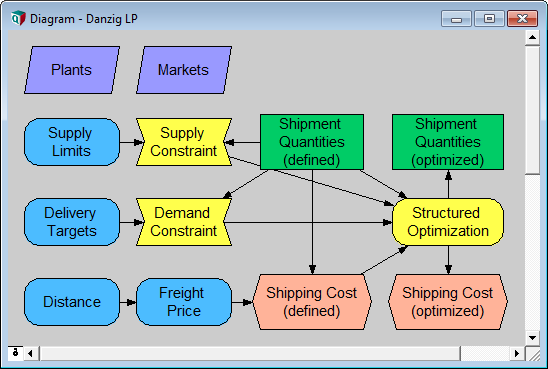 Its influence diagrams provide a visual way to build and navigate models. Analytica® offers intelligent forecasting methods with stepwise regression to find the most informative predictors automatically. It integrates Monte Carlo simulation to treat risk and uncertainty. Scenario and sensitivity analysis help you find out what matters and why. Existing applications of Analytica® include strategic planning, R&D management, decision analysis, and risk analysis in finance, healthcare, energy, environment, aerospace, and telecommunications. Analytica® is being used in major corporations, consulting firms, universities, and government agencies, on six continents. Clarity: Build and navigate models with intuitive influence diagrams. Risk Analysis: Explore uncertainties with fast Monte Carlo and sensitivity analysis. Flexibility: Manage multi-dimensional data with ease using Intelligent ArraysTM. Optimization: Formulate models automatically for powerful LP and NLP solvers. Scalability: Cope comfortably with models too complex for spreadsheets. Access: Share, review, and deploy models instantly on the web with Analytica Cloud Player. Exchange data with spreadsheets and databases. Speed: Run models 10 times faster than a spreadsheet — and more importantly, build models in a quarter of the time.